As the weather cools down and the leaves start to fall, it’s exciting to look forward to fall and all that it brings. When you think of fall you might think about things like pumpkins, apple cider and the holidays being right around the corner. 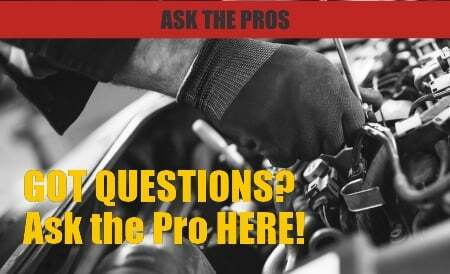 The things you probably don’t think about are whether or not your vehicle is ready for the colder months. Depending on where you live, the winter months may just include cooler weather, or it may include storms, snow, subzero temperatures or a host of other situations that will make life extremely difficult for your vehicle. 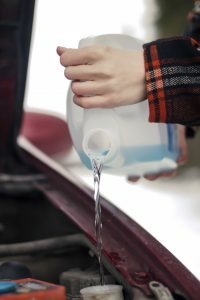 It’s important to make sure your vehicle is up to the challenge of the winter season before it gets here, so in this article, we’ll talk through some great tips for preparing your vehicle including where to find the best windshield washer fluid and why that’s important. First, it’s important to check your tire pressures. In the fall, temperatures can fluctuate dramatically which can cause to slowly lose air pressure, even if there are no punctures or brakes in them. Checking your air pressure can be done easily with an inexpensive available at any auto parts stores. If you’ve got a tire shop in your town, many of them will even check and fill your tires to the correct pressure for free. Keeping your tires properly inflated will reduce wear extending their life, increase your fuel mileage and give your car better traction on wet or snowy roads. One of the best ways you can help maintain the value of your vehicle is by keeping the interior and exterior clean. Winter is difficult on the exterior of your car due to the increased precipitation, but also because of the chemicals used to treat the road in below freezing temperatures. To help keep the interior of your vehicle clean, you may consider buying some weatherproof floor mats to make sure those chemicals and the mud of winter don’t end up ground into your vehicle’s carpets. To protect the exterior of your car, it’s important to apply a good quality wax to the paint to help keep it protect from the winter chemicals. One of the most important things to do for your vehicle to get it ready for colder weather is making sure you have the best windshield washer fluid installed. First, poor quality washer fluid may not be freeze-resistant and could leave you with a frozen reservoir over the winter. If your windshield washer fluid freezes, it will often rupture your windshield washer fluid reservoir, destroy the pump and can even break the rubber hoses that carry the fluid to your sprayers. Also, in the winter months, it is especially important to be able to clear your windshield as it gets dirty. Whether it’s from road spray on the highway, dirt, and debris on a back road or just the usual bugs and grime, have a dirty or blocked windshield can be a dangerous situation. Being able to clear your windshield quickly no matter what the temperature is can help keep you and your vehicle safe. To make the best windshield washer fluid, you only need a bottle of BlueDevil Washer Concentrate. BlueDevil Washer Concentrate makes up to 16 gallons of the best windshield washer fluid that is industrial strength and is able to remove the most stubborn of stuck on winter dirt and grime. BlueDevil Washer Concentrate is easy to use and measure out to make the exact amount of windshield washer fluid you need. Why is My Car Leaking Oil? 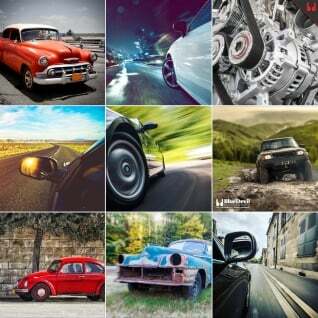 — How Do I Fix a Rear Seal Leak?